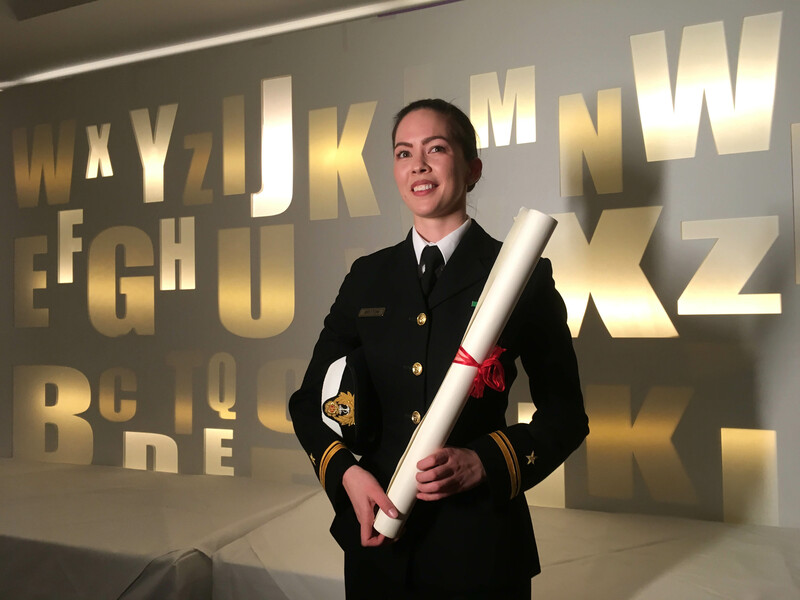 Nautical Science graduate, Tahlia Britton, from the National Maritime College of Ireland receives Intel "Women in Technology" award for CIT. The Intel Women in Technology Award is presented to a number of female undergraduate students due to graduate in 2018 from technical disciplines in Institutes of Technology in Ireland. The awards program aims to encourage a new generation of high-achieving women to take up the challenge of a career in science and technology. The program forms part of a wider focus by Intel on empowering girls and women by fostering educational opportunities and encouraging women to participate, prosper, and lead in the global economy. Intel has worked closely over the past number of months with both local schools and a number of universities and institutes of technology to share details of the initiative and encourage applications from women embarking on third level education and were delighted with the record number of applications received to the program this year. The award, which is a monetary payment, are open to females in their final year of a specified undergraduate Level 6/7 qualification in science and technology and award recipients will be selected based on academic excellence. The monetary award is valued at €1,500.